Welcome to Forestry Commission England’s Tree Health News, a new publication that we have created due to the high demand from the sector for regular pest and disease updates. This is very much an evolving document and we want it to meet your needs, so we will always welcome feedback and suggestions. Let us know what you think, and tell us if there is anything you'd like us to feature in future editions. According to nurseries in the private sector, it is clear that many foresters are rising to the challenge of using what are known as the emerging conifer species that will be resilient to a changing climate. And species such as coast redwood, Japanese cedar, western hemlock and Serbian spruce are now readily available from several nurseries. However, the Forestry Commission is concerned that some of the recommendations for broadleaves have not been so fully adopted. The Forestry Commission is keen to help foresters and woodland conservation organisations charged with managing our woodlands to make significant changes needed to accepted and widely practised forest management. We want to focus our resilience work on encouraging foresters and their nursery providers to give greater thought to seed sourcing and embedding assisted migration of genetics within species into their day to day thinking. A recent article in Forestry Journal by John Weir, Woodland Creation and Resilience Advisor at the Forestry Commission, gives more detail about this subject. For more general information and guidance on climate change and planting recommendations, please visit our website. Current recommendations on seed source for adaptation to Climate Change can be found here. Acute oak decline (AOD) is a condition known to be affecting several thousand oak trees, mostly across East Anglia, the Midlands and South East and Southern England as far west as Somerset. It affects both of Great Britain's native oak species: pedunculate oak (Quercus robur) and sessile oak (Quercus petraea); as well as other species of oak. Records suggest that AOD was probably first observed in the UK in the 1980s, although literature studies indicate that a similar condition has been observed in continental Europe since 1918, spreading southwards and westwards since then. Our understanding of the exact cause of this condition is still incomplete, but growing all the time as research progresses. Research findings to date suggest that it is reasonable to hypothesise that one or both of two newly described bacteria play a role in the tissue necrosis associated with the weeping or ‘bleeding’ patches on symptomatic oaks, and that the oak jewel beetle or two-spotted oak buprestid (Agrilus biguttatus) could also be involved, possibly as a carrier of the bacteria. Therefore we recommend contacts with bleeds are minimised to reduce the possibility of transferring the condition from tree to tree. refrain from pruning infected trees if possible because it can increase the risk of disease spread, and also make the tree more susceptible to secondary infections. For more information about AOD, including a symptom spotting video, outbreak map and more in-depth management guidance, please visit our website. The Forestry Commission is now open for applications for Woodland Capital Grants 2015 (previously referred to as the preliminary woodland grant offer) to plant and manage new woodlands in England as part of the Government’s new £900 million Countryside Stewardship Scheme. There is a strong emphasis on improving and protecting the environment, for example looking closely at where new woodlands can help reduce the effects of flooding, as well as planning the future management of woods to ensure they are good for people, nature and the economy. If you are considering applying for any of the available 2015 grants, please be advised that you must register on the new Rural Payments system at as soon as possible. Additional advice can also be found on our website. Managing the oak processionary moth (OPM) pest problem in London and Surrey requires a strong partnership between local authorities, landowners and government. OPM is native to southern Europe. It was accidentally introduced to London around 2005 as eggs laid on semi-mature oak trees before they were imported from continental Europe for landscaping schemes. Its caterpillars feed on oak leaves, and in large numbers can strip trees bare, leaving them vulnerable to other stresses. Their hairs can cause skin rashes, eye irritations and respiratory problems. People who work close to trees, such as tree surgeons and forestry and ground-care workers, are most at risk. In 2014 we undertook an extensive pheromone trapping programme to help better understand the current extent of the West London population. This was successful in guiding our winter survey effort and OPM was found to be present across 19 Local Authority areas in London and Surrey, affecting a large and wide range of landowners – with the risk that more Local Authorities and landowners could be affected if it continues to spread. For the second year running in West Berkshire the only evidence of OPM were a very small number caught in pheromone traps and no nests have been identified. European Union legislation was introduced in October 2014 which recognises those parts of the UK that are outside the affected areas as a 'protected zone'. This means that the government now has a statutory duty to prevent infestation of the protected zone, and this has to be the focus of government funded activity. Government policy continues to be to contain the spread of OPM from the West London outbreak and to eradicate it elsewhere. Therefore in 2015 we will continue a similar survey methodology as last year and focus government funded control efforts on the buffer area outside the ‘2015 core zone’. The core zone has been defined using the best evidence and scientific advice available to us. It allows us to focus government resources on controlling those populations which most threaten to expand into the protected zone. The government budget has not been reduced but we now need to focus government resources on controlling those populations which most threaten to expand into the protected zone. “Over the past two years, we have invested significant extra resources in treating infested trees, and neighbouring trees, across the known outbreak areas. “Our extra survey work has revealed a greater area of infestation, so we now have to focus our investment where it will have the greatest impact. That means concentrating our additional survey and control action on the front line of the outbreak to limit outward spread and protect unaffected areas. Along with large landowners such as the Royal Parks and Kew Gardens – who will be taking control action again this year - local authorities account for the largest share of tree ownership in the affected areas. “Some boroughs have managed OPM for several years now, but more will be facing it for the first time this year,” Mr Gambles added. “If we all do our bit in co-ordinated partnership, we can hit this damaging pest hard." The Forestry Commission therefore welcomes contact from local authorities and other partners who would like to discuss ways in which we can work together best to manage OPM. Further information about oak processionary moth can be found on our website. Asian longhorn beetle (ALB, Anoplophora glabripennis) is a native of China and the Korean peninsula, and poses a serious threat to a wide range of broadleaved trees. It has caused extensive damage to trees in the USA and Italy since being accidentally introduced there in recent years, and there have been outbreaks in several other European Union countries. Individual specimens have occasionally been found in the UK, but in March 2012 a breeding population was confirmed by Forest Research scientists in the Paddock Wood area near Maidstone in Kent. However, along with Fera colleagues, we quickly implemented measures to eradicate the outbreak and prevent it spreading further afield. Annual monitoring of the area, including the 2014/15 winter ground survey by the Plant Health & Seeds Inspectorate of the Animal & Plant Health Agency (APHA) has been undertaken, as required by EU legislation, and there have been no further finds. The Forestry Commission and APHA continue to work together on this survey effort, and further inspections of sentinel trees, pheromone trapping and awareness raising is planned to take place later in the year. The Forestry Commission’s Tree Health team is also conducting a wider survey for the presence or absence of breeding populations of Asian Longhorn Beetle around premises associated with the import and / or sale of commodities such as stone and slate. This is because the larvae of the beetle could enter the country in the wood packing and packaging material (WPM) used to transport these materials. More than 300 potential survey sites have been identified in England, and we hope to have inspected at least 30% of them by Spring. The survey also offers us the opportunity to inspect high-risk premises for possible indications of pest presence, and help raise importer / personnel awareness of the importance of vigilance for ALB and other invasive pests. Where appropriate, we also hope to establish a network of sentinel trees around sites to aid future survey work. All our ALB identification advice, susceptible species information and guidance can be found on our website. Do you want to know more about the plant health risks to your business or area? Do you want to know about new plant health threats on the horizon? The UK Plant Health Risk Register is a publicly available tool which can tell you this and more. New issues are identified each month and considered by the Plant Health Risk Group, a group of plant health experts from Defra, Fera, Forestry Commission and the Devolved Administrations, before being added to the Risk Register. The Register already has more than 750 entries, with five to ten additions each month. The Register is the main tool used by the Risk Group to screen issues as they arise and identify priority actions in response. These include actions for Government, industry and other stakeholders to take. The Register also helps to identify where a more detailed Pest Risk Analysis (PRA) is needed, and these are all published for comment and contribution. The Register is already being used to improve protection against some key threats, such as to support stronger EU legislation on the Emerald Ash Borer, the Bronze Birch Borer, Plane Wilt and Sweet Chestnut Blight. There is also the opportunity to influence policy on current issues. For example, the interventions that might be taken in response to Acute Oak Decline, and whether Xylella fastidiosa, the bacterium having a devastating effect on olive trees in southern Italy, could represent a threat to UK trees. The Risk Register and published PRAs are available online. We have introduced a new form of map on our website to show where Chalara dieback of ash has been found in wider-environment situations, such as longer-established woodlands and hedgerows. Instead of showing individual ‘sites’ where the disease has been confirmed, the maps and accompanying statistics now indicate the 10km x 10km grid squares, or hectads, in which it has been confirmed. As our knowledge of the disease in the UK has progressed, we believe this is a more meaningful way to present its known distribution. This is because showing only confirmed sites does not account for the possibility that there are other infection sites in the locality which have not yet been detected. We no longer indicate on the maps where infection has been confirmed in recently planted ash trees. This is because the infected plants have either been destroyed, removing the infection from the area, or the disease has now been confirmed in local wider-environment situations anyway. Sarah joined the Tree Health Team in September 2014 as one of two new Biosecurity Officers who have national roles in England. “I will be looking at promoting biosecurity and challenging people’s perceptions and behaviours - both internally within the Forestry Commission and externally to the forestry sector. Based in Penrith, but working closely with the national tree health team, this role is a new one, and I am looking forward to developing it over the coming years”, said Sarah. 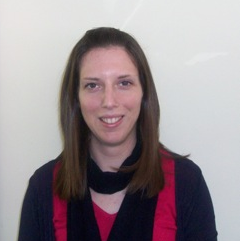 Sarah initially joined the Forestry Commission in May 2008 as a Grants and Regulations Administrative Officer at Peil Wyke in the Lake District, during which time she also studied for an MSc in Forest Ecosystem Management. In 2013 she moved into the Yorkshire and North East Area team as Woodland Officer for County Durham, Tyne & Wear and Tees Valley. The Forestry Commission is urging importers who use wood packaging in shipments to comply with regulations to protect Britain’s trees and plants from invasive pests. Wood packaging and dunnage (loose wood to support cargo) arriving at ports of entry in Britain is being destroyed if it poses a risk of carrying invasive insect pests. There are strict international regulations for the standard of wood packaging material and dunnage which is used to ship goods and materials, and we are working with importers to help raise awareness of this important area. Guidance is available on our website. Biosecurity survey – help us! As part of the Forestry Commission’s commitment to promoting biosecurity, we have put together a short email survey - to find out what you currently think about biosecurity, how aware you are of the current guidance, and how you feel it does, or should, impact on your daily work. Do you have ten minutes to spare to complete the survey? It will help steer us on how best to communicate about biosecurity, and let us know what you need to follow biosecurity guidance more fully in the future. It’s an online survey, and can be completed anonymously here. the Forestry Commission’s pest and diseases pages.